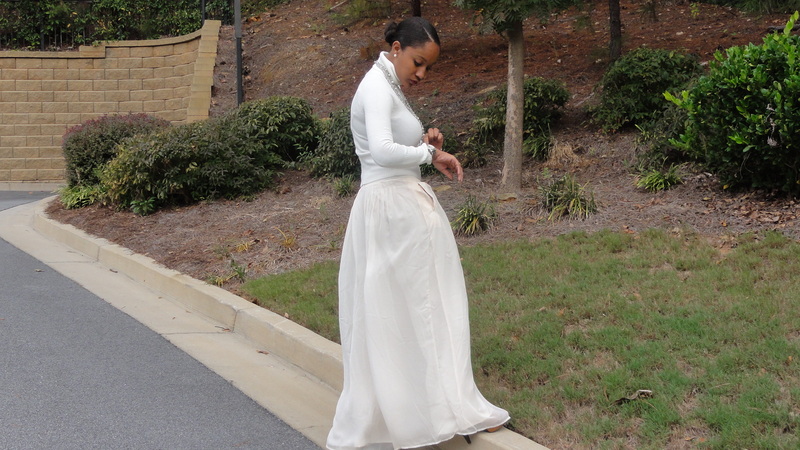 Can you wear white this Fall? Yes! And I love it! 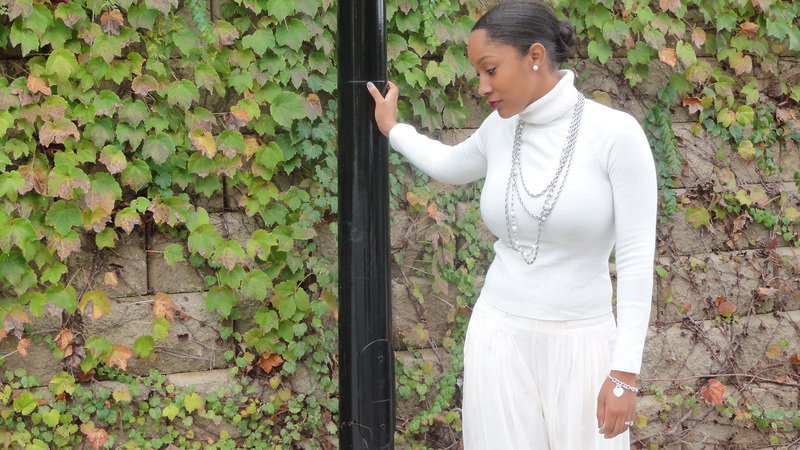 The trick to transition white bottoms for Fall is playing with the textures and colors of your tops and accessories. In the pictures below, I paired white Jennifer Lopez for Kohls palazzo pants with a knit turtle neck.